Cheese is not the healthiest of foods. It is high in salt, fat (it is the biggest source of fat in the US diet), calories and concentrated milk protein. Milk protein is a potent stimulator of IGF-1. Elevated IGF-1 is a risk factor for both cancer and Alzheimer's. They also add aluminum to cheese to improve its melting and slicing properties and is thus one of the biggest sources of aluminum in the American diet. But unfortunately, it is also one of the most addicting foods on the planet. When you mention eating a plant-based diet, invariably people will say, but I can't give up my cheese. (I actually thought the same thing, but I did manage to give it up, although admittedly I still miss it). I found it helpful to find something to fill the void. 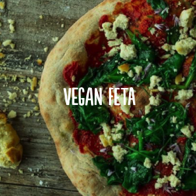 I admit that there really is no substitute that is its equal, but here are some recipes and non-dairy cheese products that can help. I only picked the ones that taste really good (you might even fool some of your non-vegan friends) and are nut derived. There are non-dairy cheeses out there that are made from pure fat, and quite honestly don't taste as good (and just aren't that good for you either, although they can work in a pinch). My adjunct from Greensboro (Marit) shared a sample of this with me during my last trip out there. As soon as I tasted it I knew I had to have more and that I had to have the recipe. It is about the best tasting plant-based cream-cheese-like spread (or Boursin type cheese spread) that I've ever tried. I'm now totally addicted to it and everyone that I've shared it with has unanimously agreed that it is very good. At first it looks a bit labor intensive but trust me it isn't. And if I can make it, well anyone can. Ingredients: raw cashews, Herbamare salt, maple syrup (or other sweetener), coconut milk (light) herbs (your choice, I use dried chives). Soak 2 cups of cashews (I use the cashew pieces) overnight in enough water to cover, plus two inches. If you don't plan ahead and remember to soak the cashews soak them in hot water for 15-20 minutes. an oven with the light on. Let it ferment for 12 hours. Then, mix in 1/2-1 tsp Herbamare salt and some dried chives. bagels or toast or with veggies like celery. Herbamare salt is salt with other herbs in it. Combine all the ingredients in a blender, and process until completely smooth and no orange flecks remain. Pour into a medium saucepan and place over medium heat. cook, stirring almost constantly for 18-20 min (when I made this, I think I only cooked it for about 10) or until the sauce is thick, smooth and creamy. Stored in a covered container in the fridge it will keep for up to a week. The sauce will thicken when chilled. It will thin upon reheating. Use as a topping for baked potatoes, macaroni, your favorite veggies or nachos. Seriously, your friends won't know this isn't made from real cheese. This is a pretty yummy dish and is not that hard to make. It is always a winner at potlucks. I make it on the weekends, and we eat from it all week. In a blender or food processor, puree the cashews, garlic, vinegar and lemon juice. Add enough water to help the blade along. Taste and add salt and pepper to your liking. In a medium bowl, crumble tofu and mix in oregano, red pepper flakes, spinach or kale, fresh herbs. Mix in the pureed cashews. 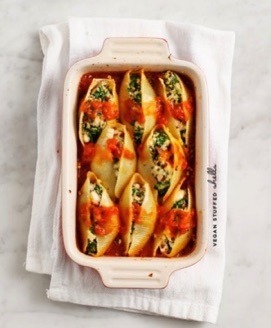 In a baking dish slather a layer of marinara sauce at the bottom. Stuff the shells and place in the baking dish. Top with marinara sauce. Bake for 25 minutes at 350 degrees. This is from the Happy Pair, two Irish lads who really know how to cook great food and make it fun. Trust me when I say this is really good. Click on the pic and it will take you to their recipes. Scroll down. For those who would prefer to buy a nut-based cheese, these are some great options. Whole Foods now carries a couple of the brands (Kite hill and Treeline and sometimes Miyoko's), but it can be a bit hit and miss. As more and more people ditch the dairy, I do think the non-dairy cheese options will be easier to come by. But here are some of the brands that I like. 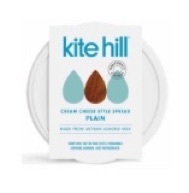 Kite Hill uses almonds and they make Ricotta type cheeses as well as cream cheese spread. 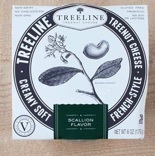 Treeline makes some cheese spreads (from cashews) as well as some harder cheeses. 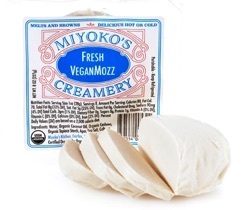 Miyoko's makes the most variety of cheeses. Everything from French style winter truffle to Aged English sharp farmhouse to Mozzarella. She uses ingredients like miso, cashes and nutritional yeast, although some do have coconut oil (which you don't want to eat too much of, just saying).